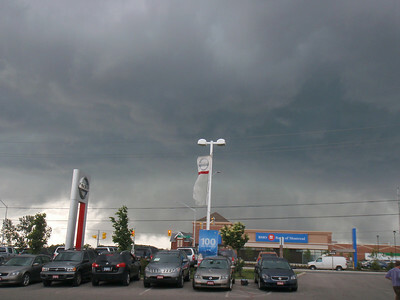 I was at the car dealership at 19th and Yonge (Richmond Hill) watching this storm approach. 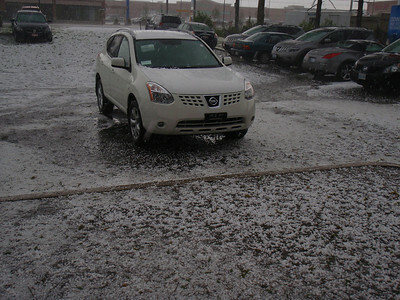 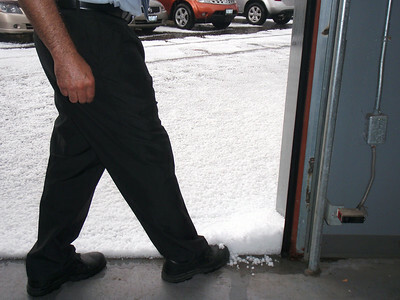 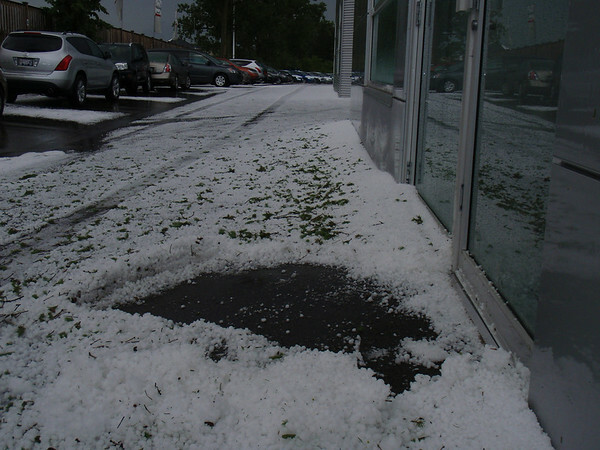 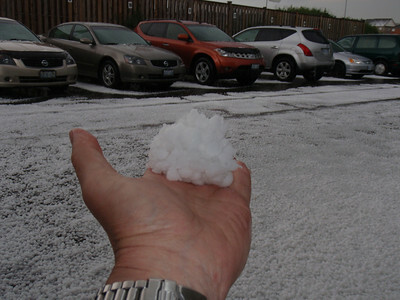 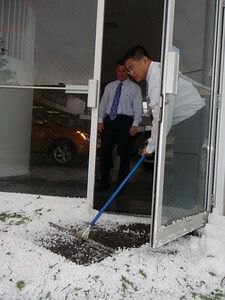 As I was calling in the rotation to Environment Canada, we got hit with hail. 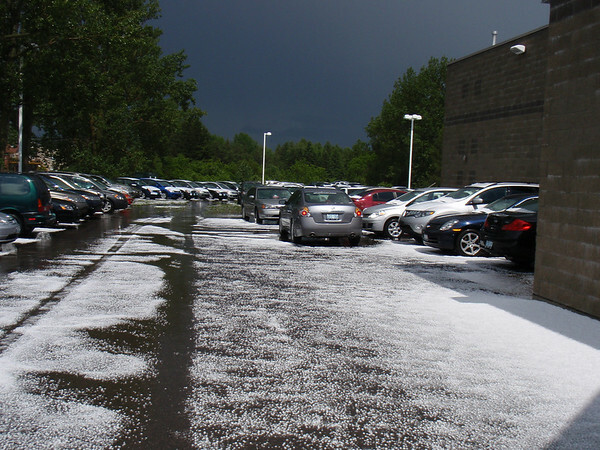 Lasted less than 10 minutes, but dropped lots of 1cm hail. 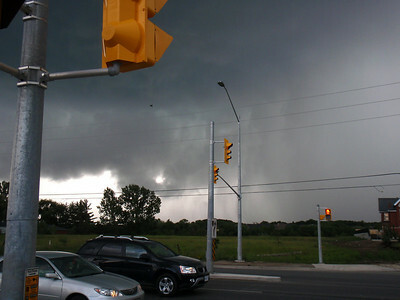 You can see the lowering just above the BMO building.